Until relatively recently, there wasn’t a truly recognized set of standards for sound genealogical research. Genealogical research was mainly conducted by principles borrowed from the legal world (primary and secondary sources, preponderance of evidence, and such). The legal-based principles didn’t really address all the needs or varying scenarios for genealogy research. 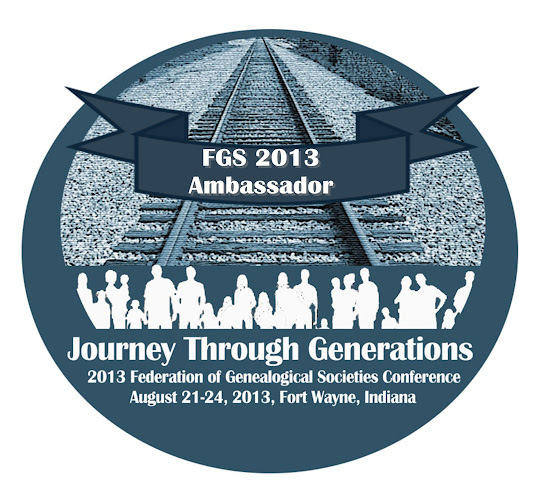 Realizing this as an issue, and in order to give genealogical research the proper scholarly footing it deserves, expert genealogists essentially got together and developed a set of “uniform standards” that are “generally accepted” for conducting sound genealogical research.1 These standards are thoroughly documented in The BCG Genealogical Standards Manual. One result of the development of these standards was the differentiating between a source and the information it provides. It further goes onto define evidence and how all of these components figure into properly evaluating and analyzing all of the data we accumulate to answer a research question. The terms source, information, and evidence, are further broken down into types, and are thoroughly defined in both the Standards Manual. Yet I constantly see these terms misused or improperly defined. This only confuses the issue and muddles the discussion. The biggest hang-up is continuing to use the terms “primary source” and “secondary source,” instead of the terms defined in the Standards Manual. When I’m reading an article or listening to a lecture and hear those terms used incorrectly, I have to stop and think, “are they talking about the source or the information it contains?” I get myself all confused and that gives me a headache, and I’m cranky when my head hurts. It also frustrates me because for people who are new to genealogy and don’t know any better, they’re getting contradicting information by the people they trust to learn from, which only perpetuates the situation down the line. I realize that for people who have been around genealogy for many years it can be hard to use and define the terms set forth in the Standards Manual because for so long the legal terms were used and for most of us, these were the terms we learned in school. Change is sometimes difficult, I get that. But as members of the genealogical community, whether you’re a hobbyist, professional, or somewhere in between, we need to take our research seriously and practice our craft by adhering to the genealogical standards that were established. That also means we need to speak the same language, especially when educating others. Although I have not been a member of this community for very long, I have heard and read that genealogy was (still is?) the “bad apple” of historical research. One way to help erase that perception is to follow the genealogical standards in order to produce quality research and to pass on our knowledge to those who share our same passion. I really want to see the genealogy field grow and gain the respect it deserves. And while genealogical standards may seem like a scary and overwhelming subject, designed for the advanced and/or professional researchers, it really isn’t. These same principles are found in most beginning genealogy books, just in less-intimidating terms. Several genealogists took the time and effort to put these genealogical standards together so that we (and the field of genealogy) could all benefit. We should repay them by incorporating these standards into our own research. And when we discuss or teach these standards, we should pass down the knowledge of those genealogists by using the terminology correctly, even if that means relearning and/or adapting. To get a good understanding of sources, information, evidence, and their classifications, I recommend the following articles published by Elizabeth Shown Mills on her website Evidence Explained: Historical Analysis, Citations & Source Usage. Devine, Donn. “Evidence Analysis.” Professional Genealogy: A Manual for Researchers, Writers, Editors, Lecturers, and Librarians. Elizabeth Shown Mills, ed. Baltimore, Maryland: Genealogical Publishing Co., 2001. Pages 327-342. Merriman,Brenda Dougall. Genealogical Standards of Evidence: A Guide for Family Historians (Toronto, Ontario: Ontario Genealogical Society, 2010). Mills,Elizabeth Shown. QuickSheet: The Historical Biographer’s Guide to the Research Process. Baltimore, Maryland: Genealogical Publishing Co., 2012. Rose, Christine. Genealogical Proof Standard: Building a Solid Case, 3rd edition. San Jose, California: CR Publications, 2009. 1. The Board for Certification of Genealogists, editor, The BCG Genealogical Standards Manual (Provo, Utah: Ancestry Publishing, 2000), x. 2. Elizabeth Shown Mills, Evidence Explained: Citing History Sources from Artifacts to Cyberspace, (Baltimore, Maryland: Genealogical Publishing Co., 2007), 24. 3. For an explanation of negative evidence, duplicate originals, and image copies, refer to Evidence Explained, p. 25-30. 4. For education opportunities, refer to my recent blog post Family History Through the Alphabet – Education. A special thanks to Dawn Watson, author of the blog Digging in the Roots, for giving me a little push to publish this post and for her review prior to posting. I started a similar post over a year ago but it was written out of frustration with certain genealogy educators who don’t follow the standards (yet preach to the choir) and misuse and incorrectly define terminology. Therefore, it has sat in the drafts folder until now. I completely rewrote it to shift focus away from my frustration and bring it into a more positive and encouraging light. Good job on this, Julie! You really pulled together a lot of good sound information on the subject that is very useful. I agree with what Dawn says - two thumbs up from me, it's a great post.